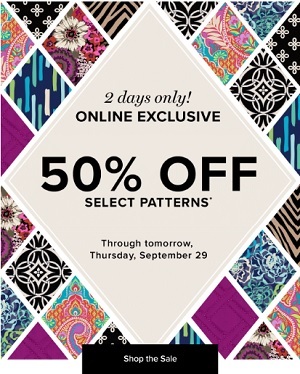 Shop selected styles with 50% discounts right now at Vera Bradley online. This amazing offer lasts only 2 days, ends 09/29/2016. Items priced as marked. Discount taken at Checkout. U.S. orders only. Source of the information about the offer is Vera Bradley. For more information visit Vera Bradley online.